AUSTIN, Texas, June 26, 2018	(Newswire.com) - Today, Univest Corporation of Pennsylvania (UVSP) announced that the company has partnered with YouEarnedIt, the leading HR SaaS company that improves bottom-line performance metrics by enhancing the employee experience, to strengthen their company culture. Founded in 1876, Univest is a comprehensive financial solutions provider that differentiates competitively on the experiences of their employees and customers. The company instills a culture mindset that puts core values into action while delivering an excellent customer experience. During the last 10 years, Univest has expanded its footprint, transitioned to a new CEO and president, and grown organically and through acquisitions. With a commitment to corporate culture, senior leadership at Univest sought to build on their rich history as the company grew and progressed. Since implementing YouEarnedIt in March 2017, 94 percent of Univest employees, including the company’s CEO, has actively engaged with the platform, sending over 7,300 pieces of recognition in the last year. Univest is also an active user of YouEarnedIt’s Behavior Bonus feature with employees redeeming more than 600 Behavior Bonuses for everything from volunteering with a partner nonprofit organization to participating in wellness activities. Univest recently launched a new culture program called The Univest Way. These new fundamentals represent a set of desired behaviors that define how they do things as a company and the way they treat each other. As a leader in the Human Capital Management industry, YouEarnedIt empowers businesses to drive meaningful changes in culture, employee engagement, the employee experience, and bottom-line business metrics. To learn more about YouEarnedIt and how their platform can help transform company culture, visit http://www.youearnedit.com. 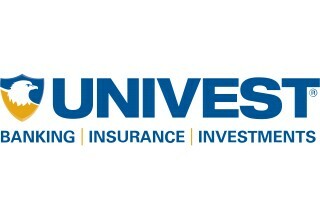 Univest Corporation of Pennsylvania (UVSP), including its wholly owned subsidiary Univest Bank and Trust Co., Member FDIC, has approximately $4.6 billion in assets and $3.4 billion in assets under management and supervision through its wealth management lines of business as of March 31, 2018. Headquartered in Souderton, Pennsylvania, and founded in 1876, the corporation and its subsidiaries provide a full range of financial solutions for individuals, businesses, municipalities and nonprofit organizations in the Mid-Atlantic Region. Univest delivers these services through a network of more than 50 offices in southeastern Pennsylvania extending to the Lehigh Valley and Lancaster, as well as in New Jersey and Maryland and online at www.univest.net. YouEarnedIt amplifies company culture through its award-winning employee experience platform that delivers engagement, retention, performance management and improved business metrics. As a dominant force in the HCM market with an industry-leading retention rate, YouEarnedIt partners with more than 400 global organizations to build high-performance cultures and engaged workforces. 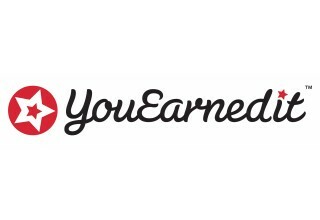 Founded in 2013, YouEarnedIt continues to revolutionize the employee experience with its platform based on the science of motivation, rewards and recognition. To request a demo, visit www.youearnedit.com/demo.